Hey, let's face it, we live in Northeast Ohio. 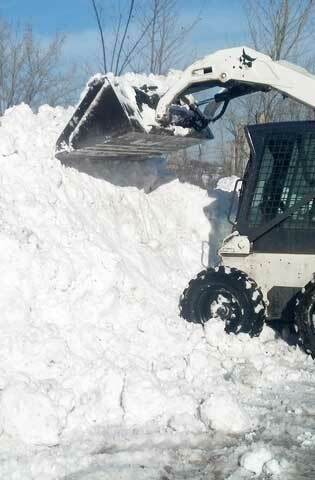 We all know our winters can be brutal, often with a lot of snow.... yeah, a LOT of snow! For residential customers, save youself the back-breaking task of shoveling your driveway, and let Kern handle it. Snow removal for a business can quickly be too large of a job to not be handled by a professional service. Our plows can easily clear your drives and parking lots while our "foot team" clears sidewalks, entries, and steps. They don't stop at just removing the snow, but they also treat the surface of walkways keeping you and your customers safe.